It’s that most wonderful time of the year folks! 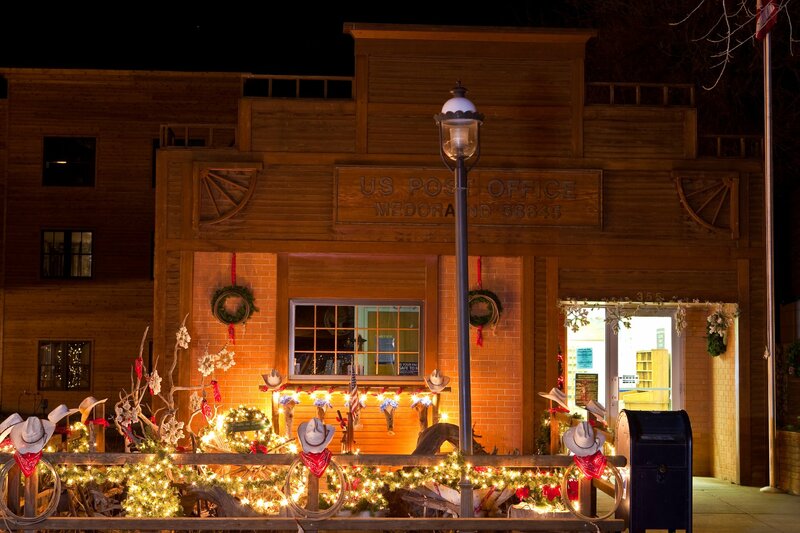 Medora’s Old Fashioned Cowboy Christmas is this weekend, December 9 – 11. 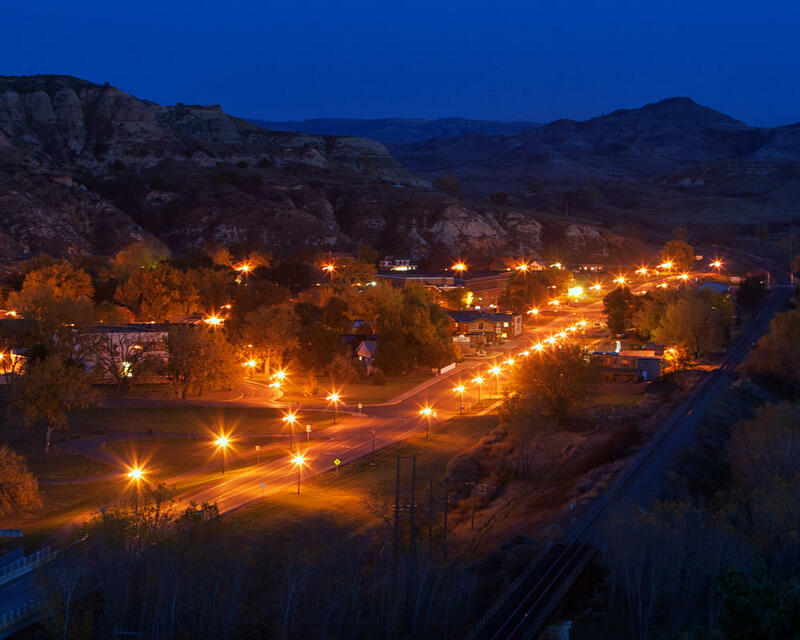 Every Cowboy Christmas the town of Medora glows with wonderful Christmas lights as the smell of wonderful food wafts through the air during Saturday’s Eats on the Streets event! It’s a weekend the whole family will enjoy, in a scene you won’t forget. Read on to see the full schedule of A Magical Medora Christmas showings, Cowboy Christmas events, family activities, and great dining options! On the first day of Christmas, Medora gave to me! 3 days of Cowboy Christmas, 2 nights of A Magical Medora Christmas, and one Bold St. Nick’s Fatbike Race! December in Medora is packed with fun family activities, great shows, and a mountain bike race! Yea that’s right, a mountain bike race! 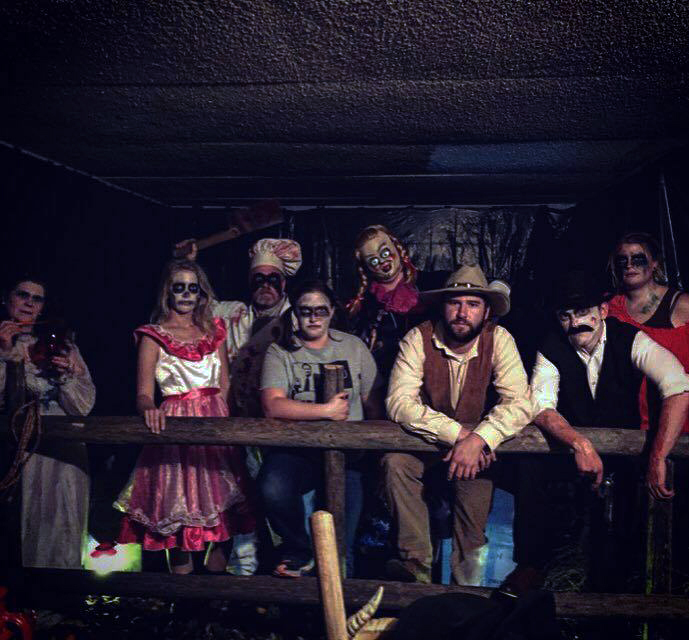 Read on to get all the details on a jam-packed December in Medora! Our friends at Experience Land have created the ultimate winter bike race! The Bold St. Nicks’s Winter Fatbike Race will be held on December 17 from NOON to 4pm MDT. Whether you’re on Bold St. Nick’s Naughty List or Nice List, you will experience the world-famous Maah Daah Hey trail like few bikers have…FROZEN! With a traditional holiday-style dinner, award ceremony, and lots of really fun winter-time activities for the whole family. It will feel like Christmas came early for the whole family! HO, HO, HO! 9:30am – Just for fun, Group Recovery Ride. Route to be determined by conditions and aspirations of attendees. $115 – ONE dinner, ONE drink ticket, ONE reservation for a beautiful and cozy hotel room at the Rough Riders Hotel, including a hot continental breakfast. $145 – TWO dinners, TWO drink tickets, ONE reservation for a beautiful and cozy hotel room at the Rough Riders Hotel, including a hot continental breakfast. Register and book your package here! No additional costs for extra occupants like kids or splitting rooms with friends. You may purchase any additional meal tickets, as needed, separately on the registration site. All questions & special requests for you your room type, additional occupants, handicap accessible rooms, etc. can be directed to the Rough Riders Hotel staff after you receive your reservation confirmation email. To see more info on the accommodations at the Rough Riders Hotel please click here. Five legendary Medora performers are bringing a family-friendly Holiday Show to audiences in North Dakota and western Minnesota! During 24 shows in 19 communities, A Magical Medora Christmas show will feature vocal performances by the amazing Emily Walter, the multi-talented Jared Mason, and the wonderful Job Christenson. Throughout the show, Bill Sorensen will wow you with spectacular magic and some hilarious banter with everyone’s favorite steel guitar player, Roger Rettig! Head below to see if a Magical Medora Christmas show is stopping in your town!